Part of finding beauty in every day living is enjoying the process of using what you have in creative new ways. This is something I’ve been thinking a lot about this week as I dream about what I want my new home to look like. How can I take what I have and embellish it or mix it up to look fresh and fun? How can I find beauty with what I already have? When we have the urge to get something new, instead of heading out to BUY something new, we can usually find a way to improve on something we already have. And that can be just as rewarding — and likely MORE rewarding — because of the hands-on effort involved in transforming things by our own creativity rather than by the power of a credit card. Simple details can take something ordinary or dated and give it new life! I love how you can change the look of just about ANYTHING with ribbons. I got so inspired by these photos! Add a sweet bow or a chic and sassy new trim for instant style and personality. I don’t sew, but I could glue or tie a ribbon on something! Ribbon would be a great way to add that new color you are dreaming of (um, say if you wanted green for instance)! I’ve seen ribbon valances, ribbon tablecloths, ribbons on message boards, frames hung from ribbons, ribbon as trim on towels, ribbon detail on curtains…if you want a new look for what you already have, ribbons just might be an easy, affordable and creative solution. How did you find beauty this week? For more info on our beautiful life project, click here. All of the complying links from this week have been permanently put into this blog post and Mr. Linky is now closed for this edition of Beautiful Life Friday! I’m a big fan of using what I have in new and different ways- and I’ve got tons of ideas over the year from you. It’s always exciting to find a new way to use an older item. Thanks for helping us remember it’s the simple things that matter. Robin Rane’ ~ All Things Heart & Homes inspiring blog post..All Things Crafty~Ribbon Bookmarks! Every time I clean I seem to redecorate. I just head up to the attic, grab a few things that have been up there for a while and find a new spot for them. Especially in these times … it is so much better to use what you have to enhance the beauty of your house. Thanks for the great ideas. I find that I have too much and need to clear some things out so that I can feature the items that are very special to me. They become like new when I take the time to do that. We are in the process of simplifying the layout and furniture in our Family room. Too much…so hopefully one of my Beautiful Life Posts soon will be me breathing a big sigh of relief and showing that process. Have a Beautiful Day, Melissa. Oh, I have the perfect idea for this! I am going to try and post later day! Thanks for a great topic Melissa. I just love your fridays! 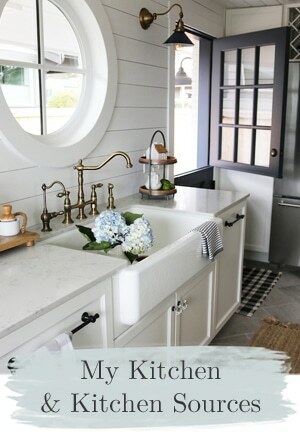 Dawn-Hydrangea Homes inspiring blog post..Giveaway Reminder! Being resourceful is a great character trait to develop. I have to admit I always feel incredibly virtuous when I renovate/reuse/recycle an existing item. My husband encourages me greatly in these moments of inspiration, as you can imagine. 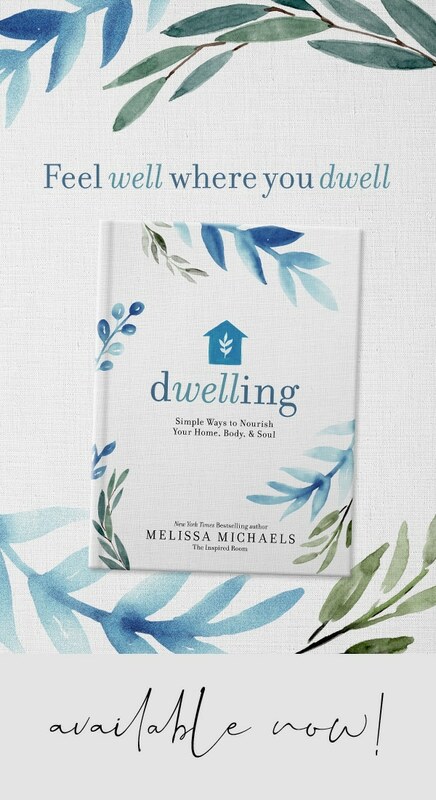 Great post Melissa! As I was proofing an article for Porch, I got caught up in the author’s words. She said that she knew would not be so creative or artistic if she had married into money because the lack of money required her to look at bettering what she already had. 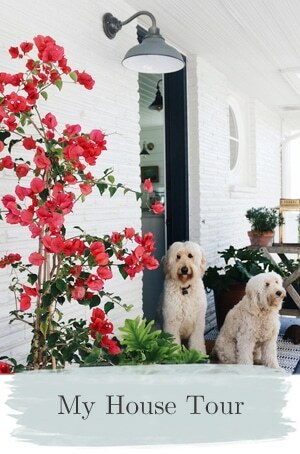 Once again you’ve inspired me to fluff up my house for spring with what I have…I’ll have to shop around and see things in a different way. I can’t sew either, but I did get a hot glue gun for Christmas! Thanks for reminding me to appreciate what’s already there! I love ribbon! I find myself buying spools of it without a purpose in mind. The latest one that I bought was $1 from Wal-Mart it is green with little yellow dots on it. Just looking at it makes me happy! Hopefully…tomorrow I am going to shop for some Spring items for my home! Love the first curtains! I think I could do that!! :) Thanks for inspiring! I love that you do these on Fridays! It’s so fun to steal a few minutes away later in the weekend to see what everyone has to share. 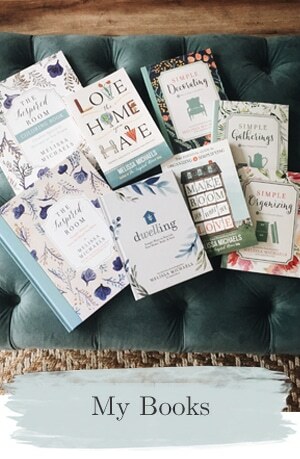 Beautiful post on freshening up what you already have. I love the simplicity and ease of your photo source suggestions. Have a wonderful weekend! Miss Sandys inspiring blog post..Yesterday Lingering, Today Languishing…..
What a fun eye candy post! Ribbon is the next best thing to hot glue and spray paint for changing things up a bit! I just bought some big lamps with drum shades at Goodwill. The shades look white when the lights off but the plastic underneath has yellowed a bit and it’s glaringly obvious when I turn those lamps on. I was considering adding ribbon to that shad just to detract from the ugly. Thank you for being a voice of moderation in your blogging. I love that you keep your priorities focused and real. Too many of us get caught up in the “I WAAAANNT it” game and need to be grateful for the abundance we’ve already been blessed with. I just love ribbons! My favorites are the vintage ribbons–they make everything extra-special! I might add them to the vintage aprons! LOVE all of those ideas. I have so much ribbon–I’m going to walk thru the house and look for places to put it! The simplest things bring joy and an element of surprise, which I love. Thanks for the inspiration…I’ve already made an adjustment to my lampshade. Yes, just now! I love those ribbon ideas-and I can’t wait to see how others are finding beauty this week! For me, it is all in the details, and I love a little whimsy in my decor. Something to make us smile. Things get moved around in our house on a regular basis. Tamaras inspiring blog post..I’m HOOKED on India! I love using the things I have in new ways. I don’t want a house full of clutter that I have to store. And using a bit of ribbon or fabric is a wonderful way to liven up something I already have. It’s amazing how far little details will take you. These examples are just lovely as always. Enjoy your weekend and here’s to finding more beauty in the little things around you. Earlier this week I did a post on thatched roof cottages. While this began as a poor man’s solution to a roof they really are quite lovely. It was a pleasant reminder that you can create things that are pretty and of value with very little money. I enjoy bringing SPRING inside my home. The abundance of flowers and spring bulbs that surprise me everyday are like happy little presents peaking out and jumping up from under the cedar mulch. I’m always finding something pretty in which to decorate nightstands, kitchens, fireplace mantels and my foyer with fresh blooms from my garden. Great ideas! I think it is so important to use what you have and your imagination! Also re-using and recycling what you have in new and different ways. Awesome! Sandys inspiring blog post..No Rigidity & Upside-Down Chip Cake! I’m SO going to do the ribbon thing on my lamp shade. I LOVE it! I enjoy stopping by on Fridays and reading what everyone has linked. I love the lamp shades. I covered a lampshade in my daughters room with fabric from a pillowcase that matches her bedding. It made the lamp look much better. The ribbon trim is a great idea. I think I will add some to her lamp. I love all the ribbon ideas. No beautiful life post today- my three babies (the one I married, and the two I gave birth to) are all down with the flu. But the sun is shining, and I bought all my garden seeds yesterday. Spring is looking up! Bright and beautiful designs. That lamp with a bow tie is too alluring. That looks like the perfect gift idea. I have enjoyed seeing others’ lives. You always find the best photos! Came over from the Nester. Thanks for sharing the Spring love. Just changing the furniture from room to room, is a satisfying and cost free way of giving rooms a new look. I love to use little embellishments to change up an accessory. Or using an accessory in an unexpected way, is another way to get a “new” look. oh bummer – I am here late, and I even checked my reader to see if this was up yet. Must have missed it. :) I love this link up the best!! In this economy I’m definately in the “simple is good” mode. My goal for March is a Peaceful Home. My home is quiet, just me, hubby and three kitties…. oh and a 25 year old son who isn’t QUITE out of the nest [sigh]. I work 40+ hours a week, creating life balance with my art/blog, nest in my home, ride my horse, and more. 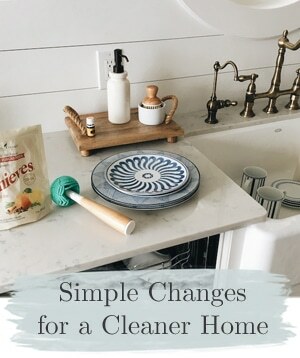 It sounds great, but can easily get too much on BOTH sides of life, so my goal for a Peaceful Home has a lot to do with simplifying… less stuff, furnishings simple – more spare, stylings that are easier to clean, less to maintain. I’m also moving towards a softer color scheme, less darks, more ivory, linen, creamy whites. It is good. I LOVE the concept of beautifying what you have. I loved this post! I am loving the ribbon detail on things!!! So cute and really add a lovely touch! So happy you posted these great pictures for more ribbon fun!! LuLus inspiring blog post..Garden Cupcakes!!! Well, I’m a little late on this one. Haven’t been online much this week. This is a great post. I’m all about the attention to detail! Great tips. 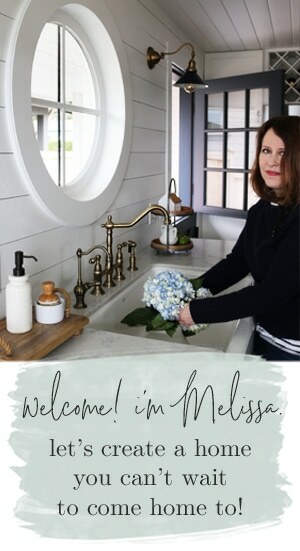 Melissa Lewis – Off The Walls inspiring blog post..Monday Inspiration – Off The Wall Is Craving Flowers! This is too funny…I was just thinking of how I could incorporate GREEN into my home decor! Here’s my answer! I like the idea of using ribbons – I’ll have to look around the house!